The very name ‘Africa’ summons up vivid, resonant imagery of a vast and incredibly diverse continent, with never-ending savannah teeming with wildlife, and scorching, inhospitable desertlands punctuated by life-giving oases eventually yielding to rich, luxuriant farmland south of the tropical regions. The cradle of human existence, sustaining life and lifestyles virtually unchanged for thousands of years, Africa presents a wonderfully rich, colourful culture which offers a splendid opportunity for an exotic wedding or party theme, and loads of inspirational ideas for other types of celebration. Find out more about African bands for hire at Hop Till You Drop Wedding Music Agency. Song, with haunting melodies overlaying sometimes complex inner rhythms, is the heartbeat of African culture. It appeals in equal measure to the head, the heart and the hips, and therefore dance features strongly as an essential component within the overall experience. At a more fundamental level than with many other cultures, music-making continues to carry an important ritual significance. 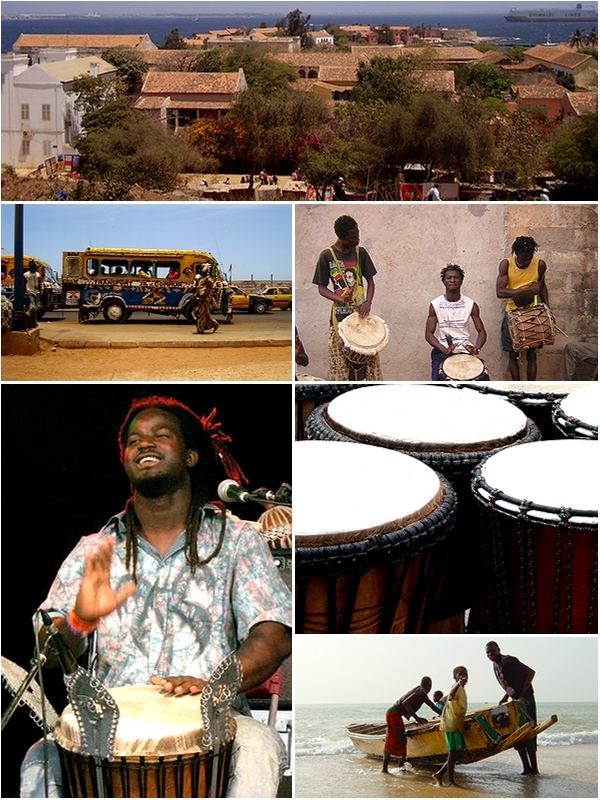 In many people’s minds, African music is primarily associated with rhythm, drums and other percussion instruments figuring strongly at the forefront. However this is far from a true or complete picture, as a variety of melodic and harmonic instruments, especially different types of flute and plucked string harps, are widely employed to provide added texture, harmony and colour in support of the (often sung) principal melody. Thus an expressive balance between melody and rhythm offers an authentic cultural representation of the Dark Continent, especially when combined in performance with colourfully-costumed traditional dancers. The gentle, lyrical rippling cascades of the Kora, an African harp, underpinned by constantly-shifting cross-rhythms provided by the Djembe, a type of hand-held or floor-mounted drum beaten with sticks or hands, often forms the core accompaniment to African song performance. The effect of this combination is enchanting and can be utterly mesmeric, as can its Indian counterpart of sitar and tablas, although the texture of the resulting sound is quite different. Kora and djembe can readily provide exotic background music, or can be augmented with further instruments and dancers to produce a spectacular and colourful display. If you are planning a wedding, birthday party or other private or corporate event, an African theme offers an exotic and original inspirational framework. African traditional music, at times hauntingly beautiful, at other times irresistibly danceable, sometimes both, is an essential atmospheric backdrop to such a theme. A troupe of costumed dancers will complete the picture, producing an unforgettable performance spectacular as the centrepiece of any celebration.